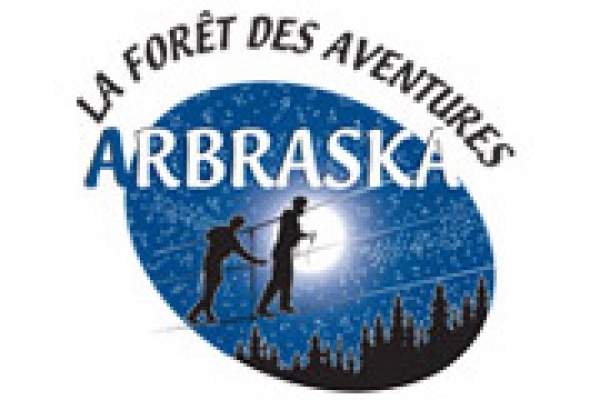 Welcome to ARBRASKA, The Forest of Adventures, the specialists of fun in the trees characterized by the authenticity that we're known for. Our vocation is simple: To give you warm and unforgettable moments while in nature. Venture to tackle the aerial courses of 'hebertisme', that will awaken the child in you! You can experience our aerial courses in the forest day or night. Your open-air outing will create emotions in you that will fill your head with fantastic images greater than you can imagine. Your fun will become an event! A brief state of pure happiness between friends and family.